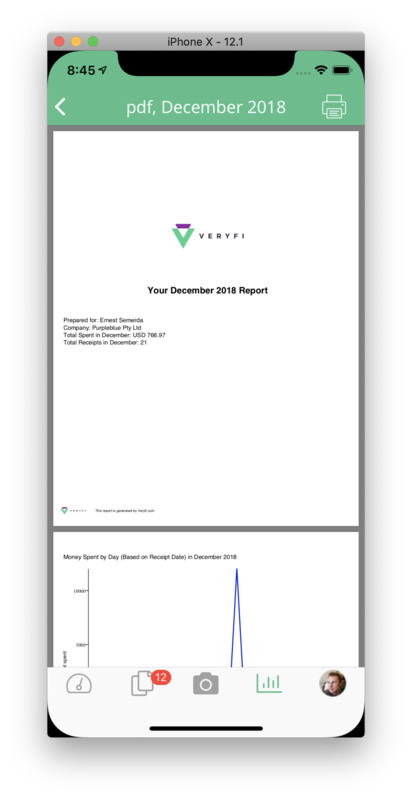 In your Veryfi mobile app, head over to the Reports section (footer menu). 2. Select the report you want to open for printing. If you have setup printers on your phone you will see the printer icon in the header. Press it to start printing. 3. 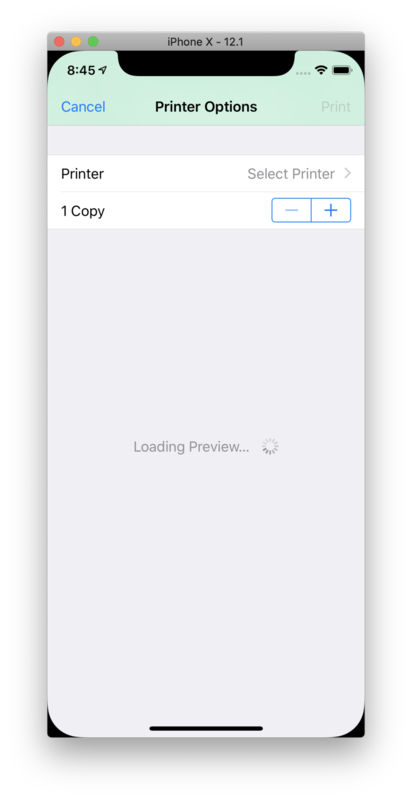 Printer options/preview shows up. 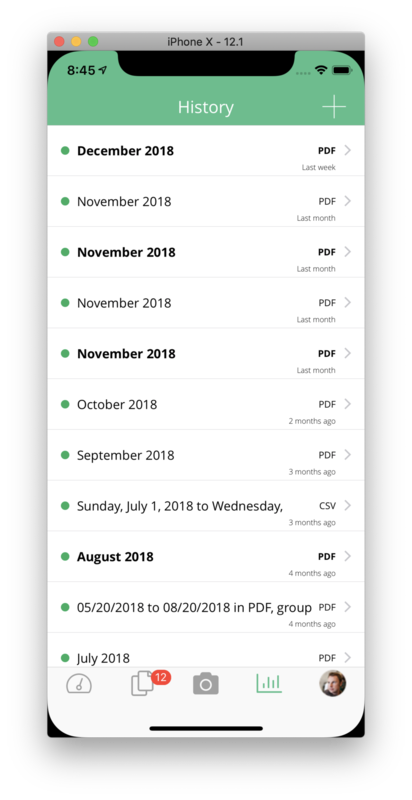 Make sure you select your Printer and hit Print (grayed out below because I have not selected a printer) to begin the printing process.